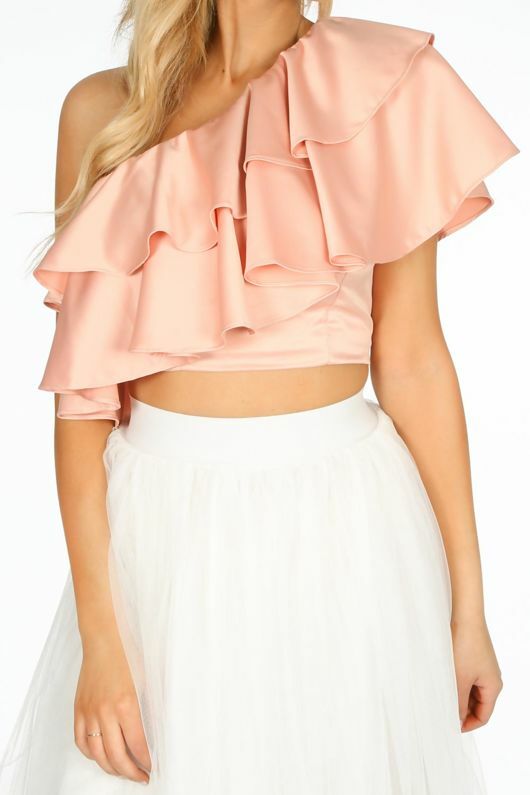 Be a frill seeker in this new one shoulder frill crop top. 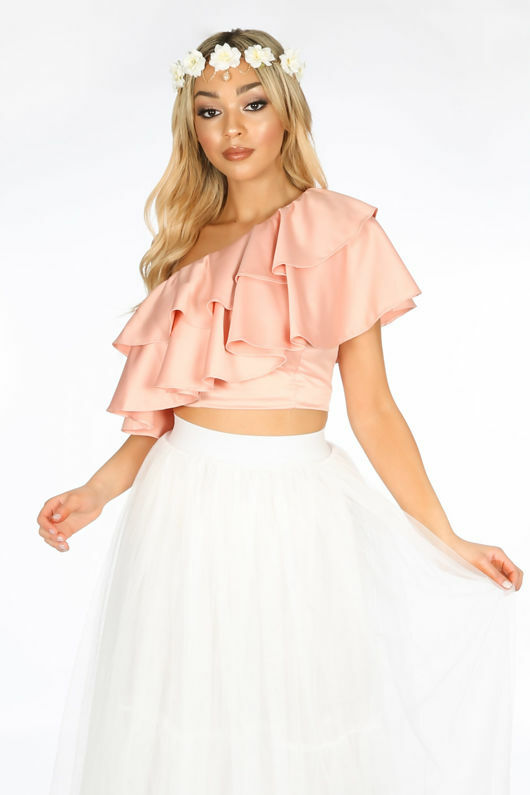 The cute layered frills and cropped length give this versatile crop top the wow factor. 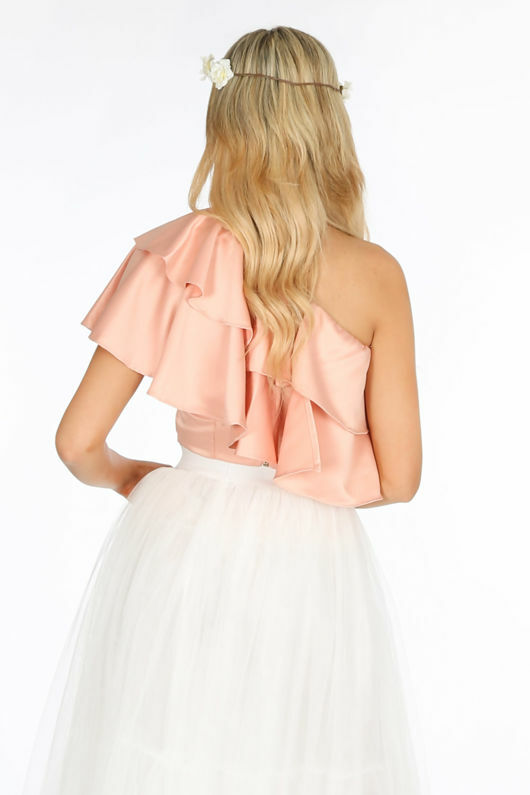 In a soft matte satin finish this frilled top can be worn for a special occasion or a glam night out. Team with a cute midi skirt or tailored trousers and barely theres.